On December 18th 2017, Israeli Delegation of Israeli Ministry of Economy and Industry and Innovation Authority visited Research Institute of Advanced Manufacturing Technology of KITECH. 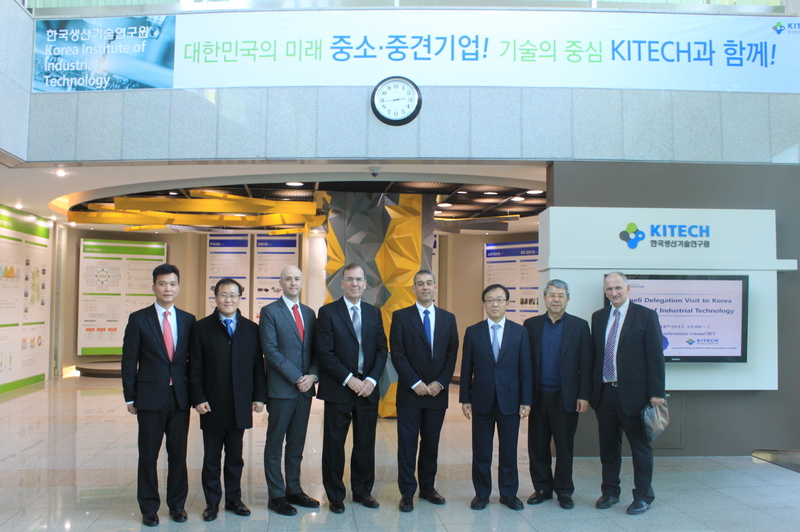 6 visitors including Mr. Shay Rinsky, the Director General of Israeli Ministry of Economy and Industry visited KITECH to discuss KITECH-Isreal technology cooperation platform, which plans for matching Korean manufacturer with Israeli venture companies. The visitors were introduced with an overview of KITECH's roles, missions, systems, R&D areas and SME support and a lab tour of Research Institute of Advanced Manufacturing Technology.